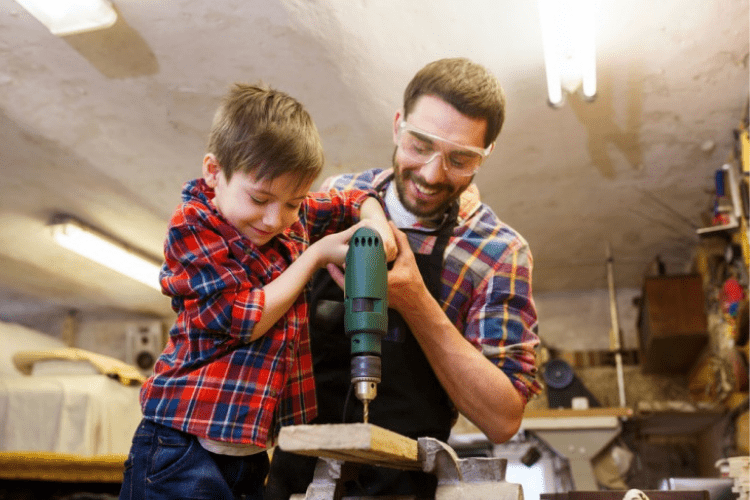 Tools Every Homeowner Needs | Gold Eagle Co.
Keeping a few key power tools handy is never a bad idea if you’re a homeowner. Baring any major problems, a majority of home maintenance projects can be tackled yourself. For example, most problems with door or cabinet hardware can be taken care of at home. The same goes for small painting projects or closet renovations. As long as you have the proper tools, gathering the know-how to take care of your home is easy. 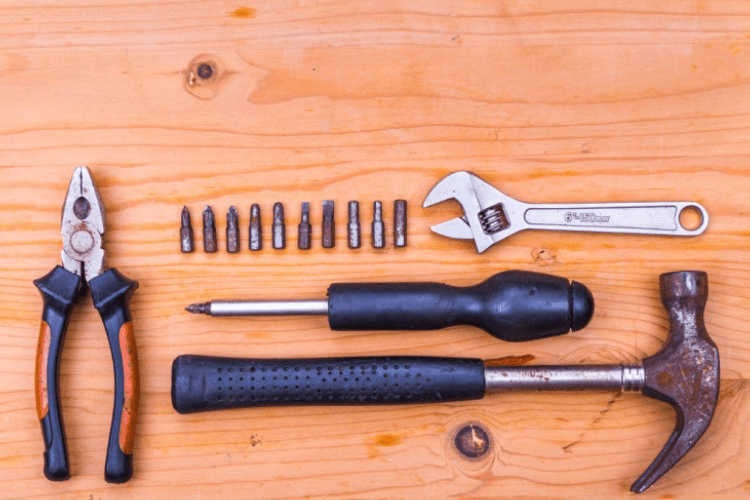 With that being said, here are a few essential power tools to keep you in control of your home’s routine maintenance projects. Dewalt has almost always been a go-to tool brand for both professional trade workers and homeowners. Their cordless tools in particular are consistently some of the best on the market. The Dewalt 12V MAX Lithium-Ion Dril/Driver Set is no exception. Running off of Dewalt’s 12V system, this drill and driver set provides homeowners with strong Dewalt drills to tackle any home maintenance project that comes along. Plus, Dewalt’s 12V collection features other great hand tools. The difference between Makita and Dewalt tools is often purely preferential, but more recently, Makita tools have been showing up on jobsites more regularly. This 12V drill set from Makita does set itself apart from its competitors thanks to it’s compact body design, which makes it exceptional for fitting into tight spaces like cabinets. Rigid power tools are always a great middle of the road option for someone who doesn’t want to spend a ton of money, yet still enjoys the benefits of nice battery powered tools. While other battery-powered circular saws always seem to fall short in one way or the other, The Rigid Brushless Circular Saw features intuitive design features, like a sight line blower that pushes dust away from the front of the saw as you’re cutting, allowing you to follow your line accurately. Over the last few years, Milwaukee tools has really re-vamped their cordless tool fleet. As a part of this redesign, tools like the M18 18-Volt Lithium-Ion Brushless Cordless 7-1/4” Circular Saw have become extremely popular on the jobsite, and for good reason. With no brushes to get worn out and the smart Redlink technology to measure how hot the saw’s motor is running, the M18 18-Volt Lithium-Ion Brushless Cordless 7-1/4” Circular Saw is one of the smarter saws on the market. Plus, it features an integrated joist hook, making it the go-to saw for framing applications. A trusty and durable hammer is perhaps the foundational tool around which your entire collection should be built. However, you often see homeowners wielding flimsy and cheap hammers, even during serious projects. A nice hammer is rarely expensive, and entirely worth keeping around your shop or garage. 22 ounces is the perfect weight for most heavy-duty applications and the most common weight for most framing hammers. While other 22 oz. and heavier hammer models have a wooden handle that will inevitably need replacing, the Estwing 22 oz. Milled Face Framing Hammer is forged out of a single piece of steel and features a milled face that prevents glancing blows and mishits. Be warned, however: milled faced hammers are notorious for eating fingers, and it’s worth taking a grinder to the face of a new milled face hammer to reduce some of its texture. Vaughan is another trusted hand tool brand that routinely makes affordable and durable hammers. While heavier hammers are perhaps overkill for anything other than serious framing applications, some of the same professional qualities can be found in lighter hammers like the Vaughan 10 oz. Carbon Steel Rip Hammer. The Vaughn 10 oz. Carbon Steel Rip Hammer features a straight wooden shaft and a smooth faced steel head in a compact yet sturdy package. The Ball Pein Hammer isn’t always the most useful tool for every homeowner, but in certain applications, they excel. The Urrea 12 oz. Ball Pein Hammer is the perfect hand tool for small metal-working and automotive projects. Like most ball pein hammers, the Urrea 12 oz. Ball Pein Hammer has a head that’s harder than most steel, and is designed for striking cold chisels and shaping metal.